A few days ago, someone on facebook linked to a Cauliflower Tandoori recipe that looked really good. I don't even remember who it was that shared that link (was it you??). I've been having quite a little love affair with cauliflower recently, so it caught my eye, and I was determined to make it. In the end, I used a combination of two recipes, the one my Facebook friend shared, and another (not vegan) recipe for chicken tandoori. I knew that a big bowl of cauliflower wouldn't ward off The Hungries for long, so I decided to make a big batch of the marinade sauce, and toss in a pound of cubed tofus along with the cauliflower florets. Verdict? Super yum and super spicy! I've never made anything like this before! I was excited to find that second recipe for chicken tandoori, because I just happened to have a bunch of the exact spices it asked for - which I had brought home from India on my last trip. This tandoori biz was mega-spicy, but just within my comfort range, which made it sort of thrilling. I'm not usually a raw onion gal, but I must say that the cool, crisp, fresh bite of the onions was a great compliment to the tandooris. Also, the fresh lime was essential - a great addition of tang to the overall experience. 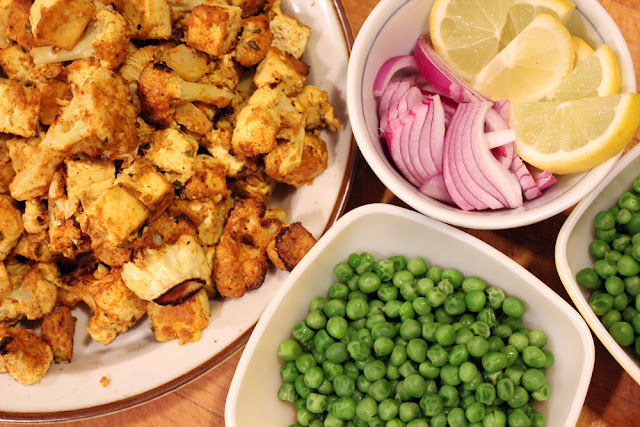 I'm pretty much stoked on tandoori gobi now, and I can't wait to make it again sometime soon. Very minimal effort, not too long to prepare (I totally skipped the "marinate for 4 hours" part), and very yummy. mmm this looks great! i'd love to try it! The cauliflower and tofu look so spicy and warm — got to go see if we have any cauliflower in the fridge. 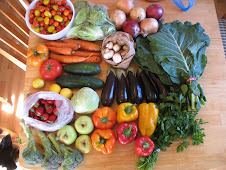 it's worth a trip to the market if you don't - seriously, it was so easy and delicious! Good call adding that tofu. Looks yummy and spicy and amazing!!!! yeah, you know the drill - you gotta have some proteins! Though, actually, I was surprised at how much protein cauliflower has too. cool! With you all the way on the cauliflower - it can do no wrong in my house. Cover it in a bit of nooch and bake it in the oven for a bit, and it's heavenly. 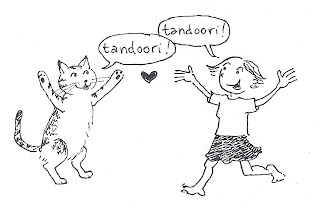 I reckon tandoori tofu would be a similar wondrous match! Yeah, I am actually considering an I Love Cauliflower post, because I really obsesssed with it right now. Roasted cauliflower in particular. How is it possible that something so simple can be transformed into magical glory so quickly?? 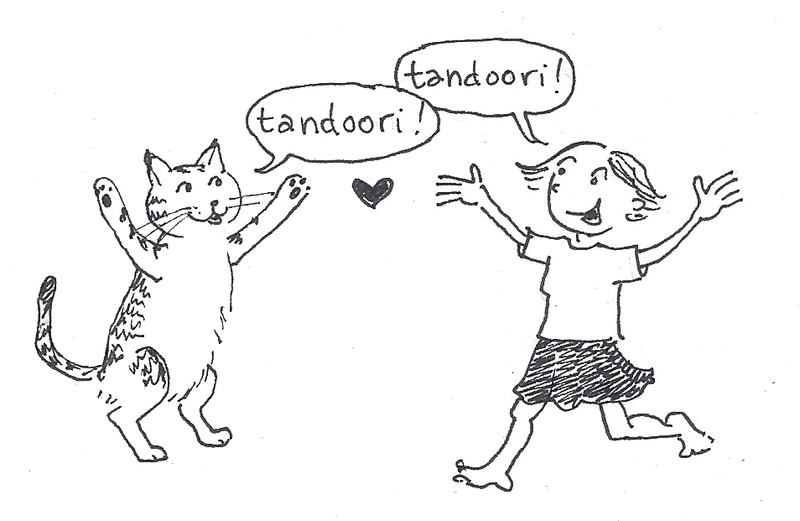 Oooh, I've never had tandoori before! Thanks for sharing the recipes, totally going to check them out! And yeah, cauliflower doesn't get enough love but it's such good stuff.